The Best Panini in Dubai - Coming Soon! Coming Soon! There’s been lots of exciting things happening as Panifico manifests itself from a distant dream to a close reality. So close, in fact, that we can taste the deliciously grilled gourmet sandwiches and smell the aromatic espressos! We can’t wait to show you the amazing progress we’ve made, which definitely wouldn’t have been possible without our adoring fans and all the ladies and gentlemen that put in the long hours. Ground zero – Soon this cozy space in DIFC will be filled with droves of satisfied customers and delightful aromas of our mouth-watering menu. The new Panifico Chef's uniform concept. Going for the classic look! The woodshop where Panifico was born! Joinery work is coming along nicely. The natural wood cladding adds to the classic, natural theme that’s carried throughout our menu. 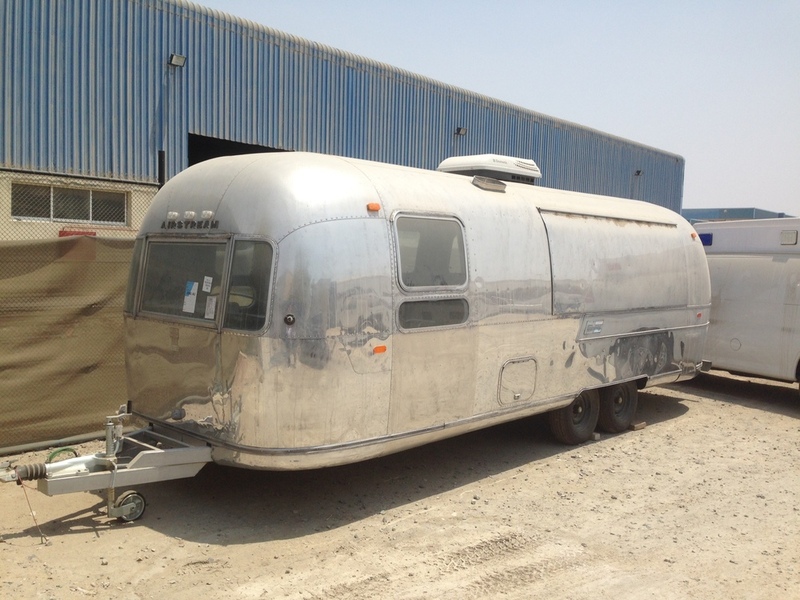 The Airstream we'll be converting into the Panifico Food Truck! It looks worn down right now but we have big plans for this old dog. What’s this!? Construction has officially started. Hoarding is up for a little bit while we work on bringing you the home of the most delicious paninis you’ve ever tasted. A behind the scenes, sneak peak of the interior, whilst we construct and assemble Panifico. It’s finally happening! We look forward to seeing you at our launch in DIFC. We’ve put a lot of hard work into perfecting every aspect of Panifico and we’re so excited to share it with all of our future customers.